The pursuit of happiness is an inalienable right. And consequently "the pursuit of happiness" is also one of the main statements in the US Declaration of Independence. The selection of this phrase by the Tobias Meinhart Quartet as the title of their debut album is not by chance. 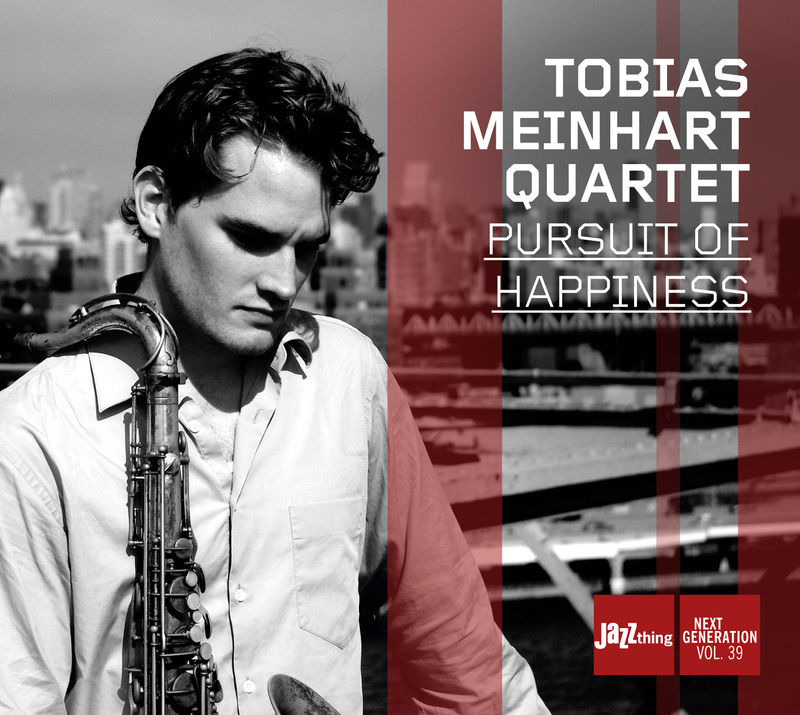 The leader, tenor and soprano saxophonist Tobias Meinhart characterizes the very individual sound of the quartet as 'between modern New Yorker ideal sound and swinging hardbop jazz of the 60s.' The four young and talented musicians do not at all want to start on an adventure called 'jazz is German' condemned to failure. Instead, they are fully conscious that their roots are in the styles characterized by US American jazz. They pay tribute right away to one of the big names: Joe Henderson. However, his composition 'Inner Urge', subtly newly arranged by TMQ, is the only composition by someone else on 'Pursuit of Happiness. This quartet is not only strong as an interpreter unit, but also may be described as outstanding and distinguished (in the true sense of the word as many awards testify to) in the area of composition.